To celebrate this epic fantasy debut, Harper sent out hundreds of copies to YPG members in one of our most epic Little Big Mouth mailings to date. 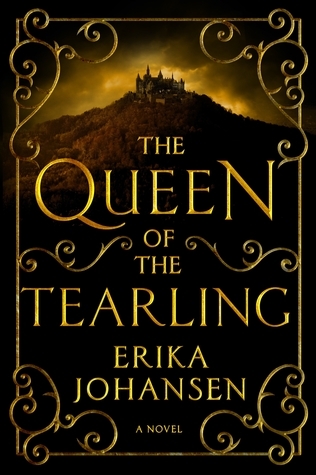 The first book in a new trilogy by Erika Johansen, THE QUEEN OF THE TEARLING follows a newly minted nineteen-year-old queen on a perilous journey full of mysteries, assassins, and treachery as she fights to claim her throne. THE QUEEN OF THE TEARLING was one of this summer’s most buzzed-about books, and has been tapped for film by Warner Bros. with Emma Watson attached to star as Kelsea. So now that you’ve had some time to read it (or to pick up a copy if you weren’t one of the lucky LBM recipients), join us for a YPG Special Edition Book Club chat about the book, the recent rise of epic fantasy, and the YA crossover craze. The discussion will be on Wednesday, November 5th from 6:30-8:30pm at Disney (125 West End Avenue, 3rd Floor; on-site contact: Cassie McGinty, 212-456-5605). You must sign up and bring a photo ID to attend. RSVP HERE and we’ll see you there! *Please note the new event location, at Disney!